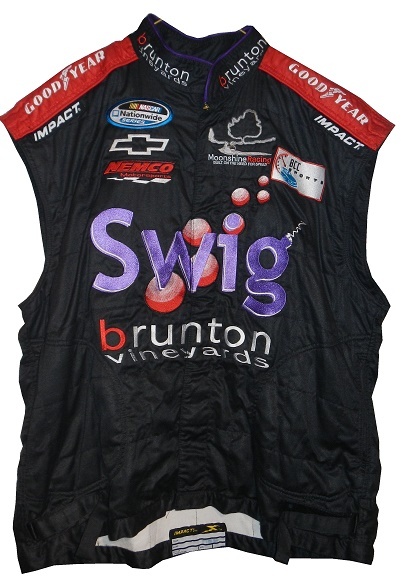 The last two weeks, I have discussed two different vests, the Joe Nemechek Swig vest from 2007, and the Berringer Vineyards vest from 2008-2010. 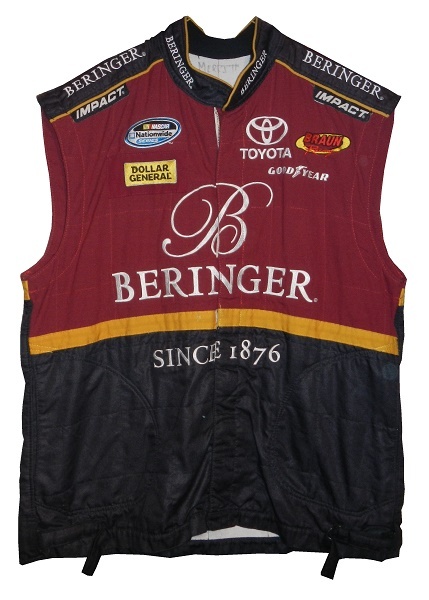 These two vests were part of the short-lived three-piece firesuit combo, which was primarily used by pit crews, since a vest and shirt could reduce the amount of restriction for the wearer. As I looked at the last two vests closer, I began to notice some thing odd about them. I noticed that the two vests had a lot in common. Both vests are the same size, same manufacturer, and have something extra added. 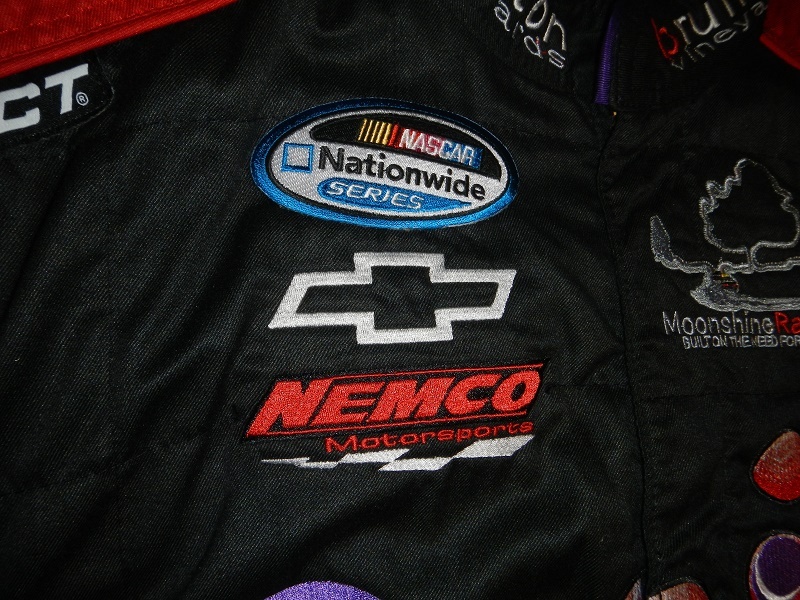 “What was added” ?” you ask, well let’s take a look at the Nationwide Series patch on the Nemechek Vest. Doesn’t it look a bit out of place for a vest from 2007? After all, Nationwide didn’t take over sponsorship of the series until 2008. 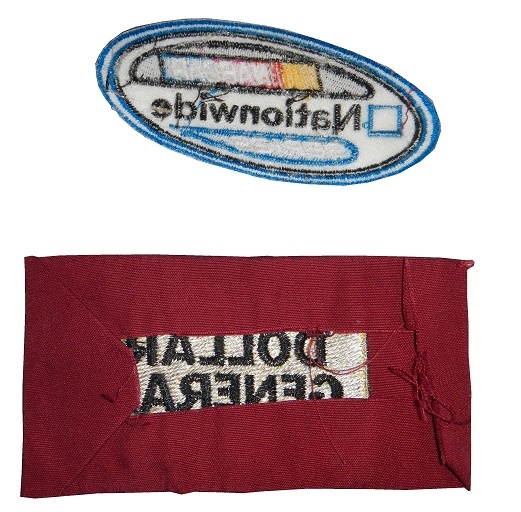 I thought this was odd, and as I looked closer, I noticed that the logo wasn’t embroidered, it was a patch. Looking closer, I noticed that the patch wasn’t sewn on. I decided to remove the patch, which was glued on, and found a Busch Series patch underneath. Ok, that makes sense. 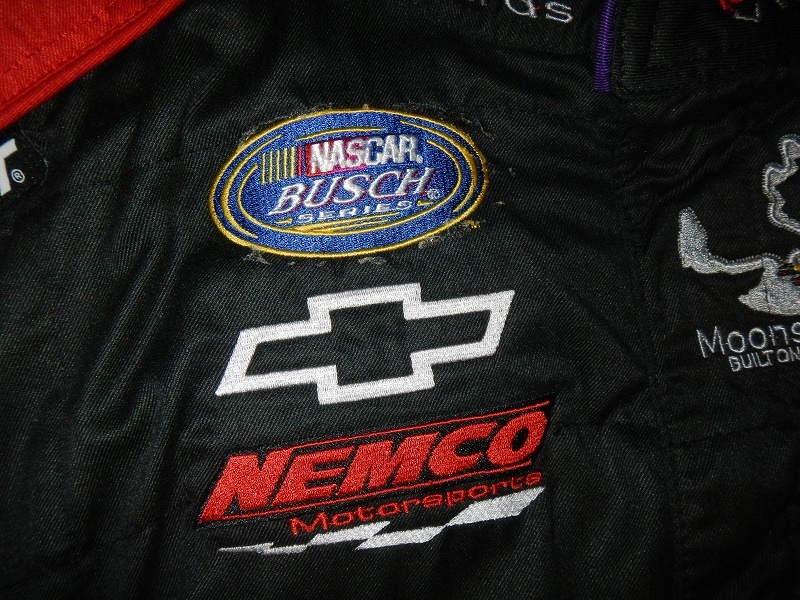 Obviously, the vest was prepared for the 2007 season, and had the old Busch Series logo. But what doesn’t make sense, at least to me, is the fact that the logo was glued on to begin with. Apparently, Joe Nemechek thought he would be running the Swig sponsorship for a few races in 2008, but that never materialized. Nemechek did try and run the Daytona race, but failed to qualify. Could the old uniforms have been used for that event? Well, it seems possible, but we’ll never know. 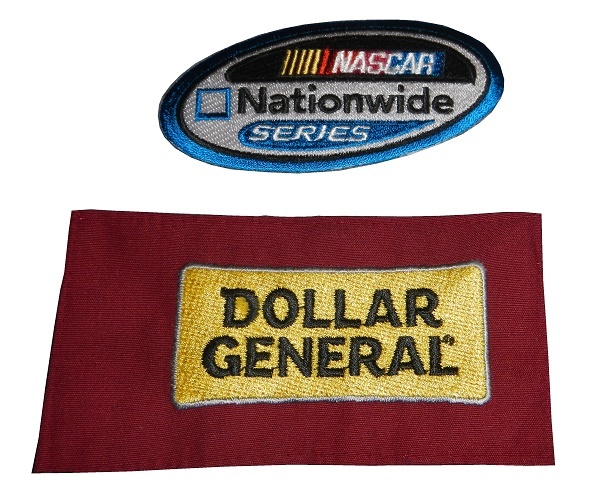 Upon removing this fabric, I noticed that the old Dollar General logo was underneath the new one. 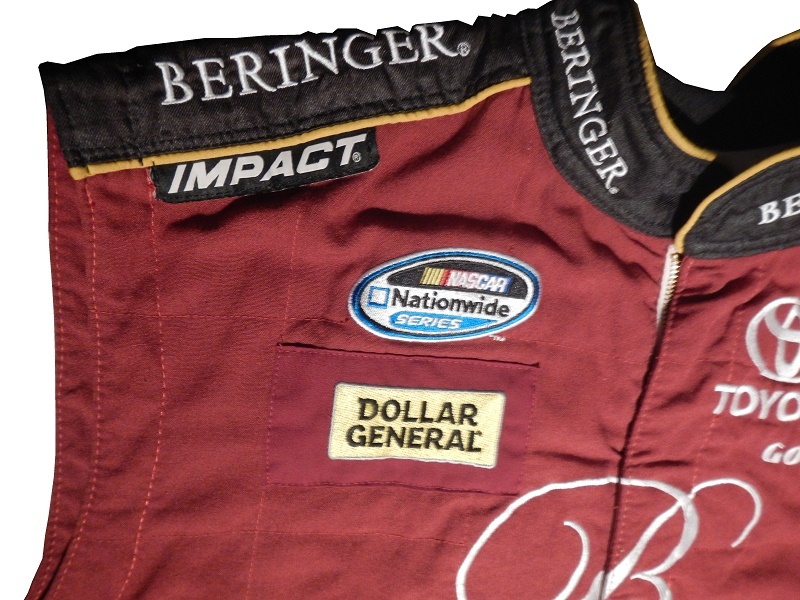 This would indicate that the vest was worn in 2008, since Dollar General changed to their new logo in 2009. Interestingly, that was the same logo they had been using since 1939, and after 70 years, the company felt that they needed to make a change. That logo covering at least makes sense. 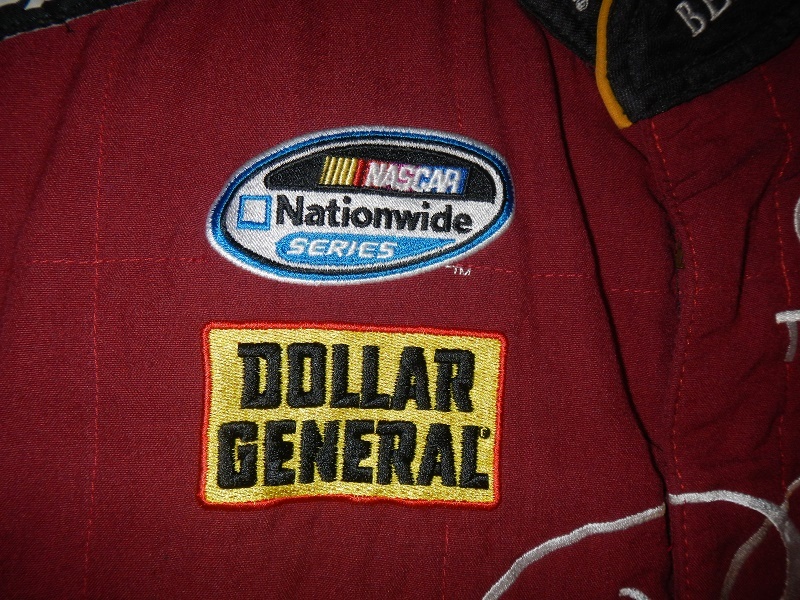 I’m still not sure why there would be Nationwide Series logos glued on vests from 2007, but they are. I get that making new pit crew uniforms would be costly, but are there issues with wearing uniforms with logos of former sponsors? Could someone let me know about this? The cost thing is understandable, I get that, but I still can’t get past considering to use a uniform with a sponsor who isn’t paying you. I’ve kept the patches for my personal collection: I’ve been talking vests, next week, we talk undershirts.